Leaves are turning different colors and the weather is getting chilly. Ready for comfort food? This is a wonderful vegetarian, healthy and low fat Strudl variant that lets the sun shine in you! Preheat oven to 180 °C. In a pot heat oil and fry onion and ½ of the garlic until starting to brown. Add carrots, cover and cook until tender. Add spinach, a bit of water, broth cube and cook until tender about 10 minutes. Add cheese and continue cooking without covering for 10 minutes. Stir occasionally. The liquid should be as little as possible. Set aside and let cool. 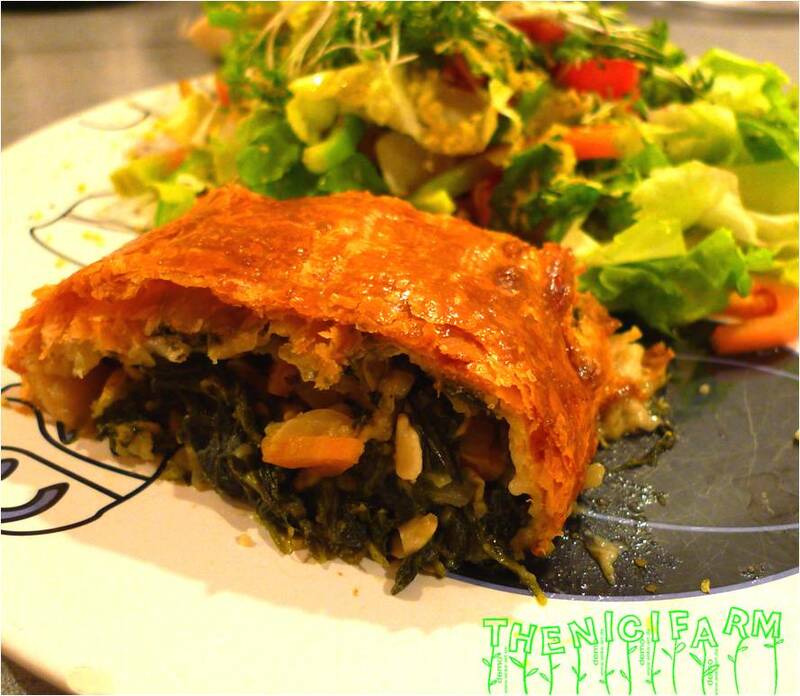 Mix in sunflour seeds and spread on one long side of the filo pastry. Roll up into a Strudl on a lined baking sheet and brush with whisked egg. Bake for 30 minutes or until brown. This entry was posted in Main dishes, Vegan/Vegetarian, Yummy for my tummy.